As of this week (March 12, 2019), the total number of known expolanets has grown to a whopping 4,001 according to the Exoplanet Team which is led by the Observatoire de Paris. And the number should grow a lot higher from there. Many new exoplanets will probably be discovered very soon, as NASA’s new Transiting Exoplanet Survey Satellite (or TESS) is analyzing around 85 percent of the sky which is approximately 350 times more than the Kepler Space Telescope viewed, although it did discover over 2,700 exoplanets. The team discovered two new planets orbiting a distant star system called EPIC 203868608 which is located 499 light-years away from Earth in the direction of the Scorpius the Scorpion constellation, bringing the total to 4,001 exoplanets to date. 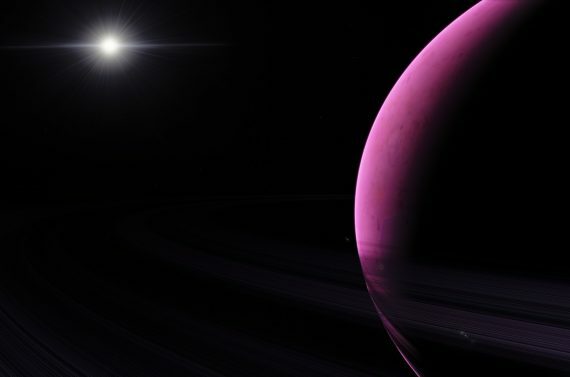 The discovery of exoplanets first began in the 1990s when two astronomers, named Alex Wolszczan and Dale Frail, found the first three known planets that were orbiting around pulsar PSR B1257+12, which was the remains of a once-massive star. Not long after, in 1995, scientists discovered a planet near 51 Pegasi, which was very exciting as it was the first planet ever to be seen around a star in the about the same evolutionary stage as our own sun. Through equipment both on the ground and in space, thousands more exoplanets have been discovered, some of which have a wide range of orbits including some planets in more than one system. In fact, some of those systems have two or three suns. Abel Mendez, who is the director of the Planetary Habitability Laboratory of the University of Puerto Rico at Arecibo, told EarthSky, “At least 49 of the known exoplanets are potentially habitable.” In order to sustain life, the planets need to be at a safe distance orbiting its star – not too close, not too far – which would allow them to possibly hold water on the surface. Some of the closest stars to our sun, which include Proxima Centauri (4.3 light-years away) and Barnard’s Star (5.98 light-years away), have planets orbiting them and astronomers have suggested that there could be billions of exoplanets within our Milky Way Galaxy. So if that’s true, if billions of exoplanets are located in our galaxy, and we have already found 4,001 of them, that means there is a lot of work that still needs to be done in order to located as many of these planets as possible. And maybe some of those that haven’t been discovered yet could possibly contain life. How exciting!